This pie is so easy to make that even I can succeed at this one. I’ve modified it a bit from the original recipe found online at Myrecipes.com. I made this for Christmas this year as dessert. It is pure delight to the taste buds. 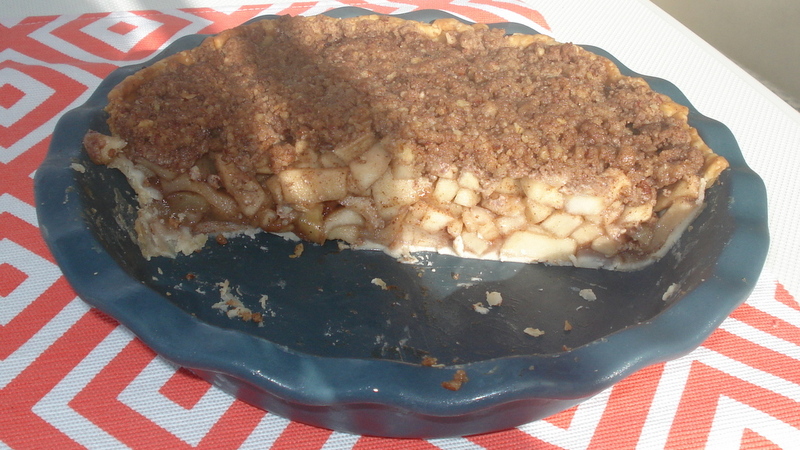 Note: Prepare the Salted Pecan Crumble first so the apples are exposed to the air as little as possible. I used a premade pie crust, but feel free to make your own. If you do make your own crust, do this first. 1. Pulse all dry ingredients in a food processor 3 or 4 times or until combined. Add butter and pecans and pulse until pecans are ground. You should have a crumbly mixture. 2. Transfer to a bowl, cover and chill until ready to add to the pie. This recipe is for an open face blueberry pie with filling that is not baked. It’s rare for me to bake a pie because it just seems like so much work. However, when you use a premade crust, such as Pillsbury Pie Crust, and fill it with no baked goodness you get a delicious summer pie. With blueberry season in full bloom, so to speak, I had to try this. It was a hit and I’ve made it twice. It’s a must try for anyone who loves blueberries. I’m sure you could make it with other berries too with a little experimenting. If you want to make it vegan, there are a lot of vegan no bake pie crusts online, so I’ll try one of these next time or I may just put the filling into small serving size mason jars for a nice pudding type dessert. Thanks Linda (sv Sapphire) for the recipe. -Mix sugar, cornstarch, and water in a pot. Add 1 ½ cups of blueberries with the lemon zest and juice. Cook over medium heat, stirring constantly until thickened and the color is a deep purple. Remove from heat and stir in the butter. Let cool (I stir a few times while it’s cooling to keep it from setting up). Cool at least 30 minutes or until there is no longer steam coming from it when stirred. 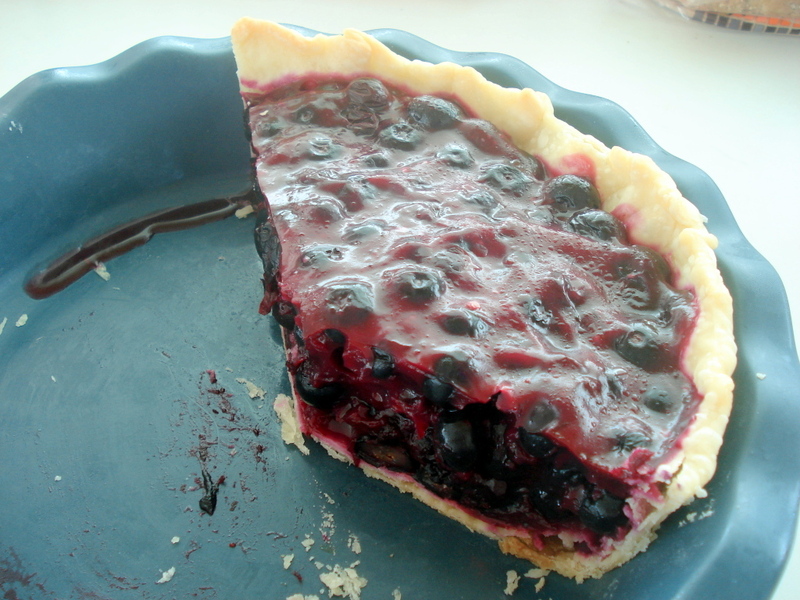 -When cooled, fold in remaining blueberries and pour into the baked and cooled pie shell. Refrigerate approximately 2 hours, or until set. I let mine set overnight. We enjoyed these truffles with friends on Rum Runner one night while in Nonsuch Bay, Antigua. I loved that Judy said, ‘Let’s start with dessert’ and everyone raved at the taste. So easy to make as well.